Have an old cell phone or perhaps a few old cell phones just laying around the house gathering dust? Just upgrade to a new iPhone or Android? If the answer to any or all of these questions is yes then you need to know that Casino Pawn and Gold located in Casa Grande, will buy your new, used iPhone, Android, Smart Phone or any other cell phone that you might own as a highly rated cell phone buyer in Casa Grande. 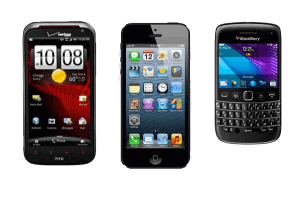 We'll offer you the most money for phone in Maricopa, Casa Grande, or Arizona City. We are the top cell phone buyer in Casa Grande, also serving the surrounding areas of Coolidge, Maricopa, Eloy, Arizona City, and the Florence Area. One of the most important factors when selling your cell phone is that you bring proof of purchase for the phone. With cell phone providers as of recently allowing customers to lease phones, or make payments on them over time, many of the phones we purchase we're unable to resell so it's necessary we verify that you actually own your phone outright. This can be easily retrieved from whoever you bought the phone from, or your current cell carrier, and makes the selling process that much faster. Due to the ever advancing pace of technology over the last decade, our cell phones become worth less and less as every single day goes by. It seems like yesterday when the first iPhone or Galaxy phone first came out, and now we're moving on to their tenth generation of cell phones. While it seems like a nice idea to hold on to old cell phones in case something happens to yours, you'll end up losing hundreds of dollars before you even know it. Sell your old cell phone to Casino Pawn and Gold and just save the money for whenever you need a replacement cell phone. Your wallet will never keep up with technology, so don't let it get ahead of you! Sell cell phones today in Casa Grande, Maricopa, Florence, and Eloy. Have an Old Cell Phone? We feel confident as a cell phone buyer that you'll bring in your used cell phones, any brand, any style and walk away with cash today. Used, Old or LIKE NEW – We want them all. We will BUY your CELL PHONE as the biggest cell phone buyer in Casa Grande. Do make sure it is as complete as possible. We will buy your cell phones from any brand whatsoever. You have no use for it anyway, so bring it on down to us. We will give you more money than any other pawn shop in all of Casa Grande, Arizona City, Maricopa, or even Eloy! Don't have the money to buy a new cell phone? Then come trade your old cell phone in! We'll give you cash for your phone, and will even give you more money towards a new cell phone of your choice! Trade that piece of junk cell phone in your pocket in today and walk out with something you never thought you could afford in Casa Grande. One important aspect when selling cell phones that we were recently forced to implement is requiring proof of purchase on your phones. In this day and age where cell phones can now be financed, it can be difficult for us to verify whether or not the phone has a clean ESN and is available for resale after you've sold the phone to us. This is easily attainable, however, as you can simply visit your carrier and get a receipt which is more than sufficient enough for us to pay top dollar for your hone. Feel free to give us a call if there's any other questions about getting the most amount of cash for your phone, and don't forget the charger! We know you have seen or heard the ads on TV, Radio and On-Line from companies who want you to send in your used cell phones for cash. Why wait for your money? At Casino Pawn and Gold we understand that your time is valuable. We realize that you don't want to spend your time waiting around only to get less money. Come to our pawn shop, the best in Casa Grande, Maricopa, Arizona City, and even Eloy, and walk away with the most money for your used cell phone. Blackberry, Sprint, Verizon, AT&T, T-Mobile, Droid, Windows, Samsung, Nokia, LG, HTC, Sony, Motorola, iOS, ZTE or any other brand. We will take them all. Notes, Pads and Tablets, we want them all and are willing to pay you the most money on the spot.